The BBC has recently reported that ‘unemployment is at its lowest rate since records began in 1975’. It’s a great fact, a monumental one in fact for the British public. So what’s the problem then? 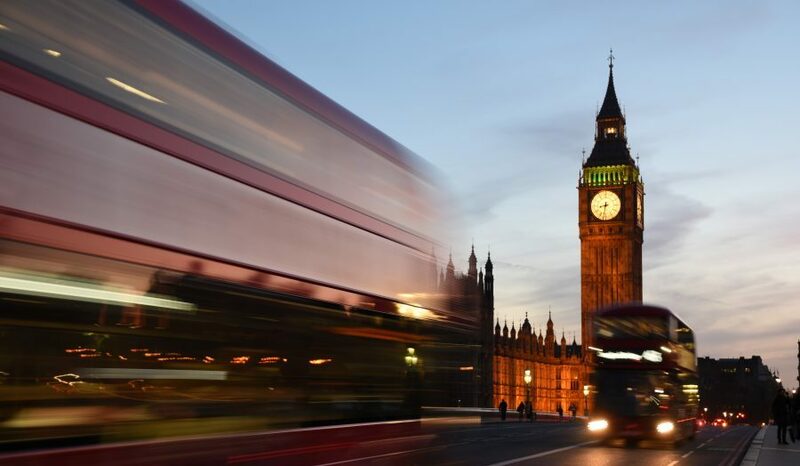 A Brexit Barometer report put together by Innovantage, Bond International Software, and TempBuddy has revealed that industries with high dependency on EU nationals, such as hospitality, education and health, are already feeling the pressure of Brexit. One of the key findings in the report is that the demand for bar and restaurant staff is up by 107% since two years ago. For example, EU Nationals who come to the UK to study, also work part-time at coffee shops and small F&B businesses to make a little bit of money while studying. But now they are no longer opting to do this. The hospitality industry has been dependent on this type of temporary employment to address short-term needs for a very long time. There has even been rumors of a new ‘barista visa’ that could be introduced to ensure that coffee shops in London are still staffed appropriately after Brexit fully finalizes. This news comes after the British Hospitality Association have claimed that many coffee shops may go bust without a steady stream of immigrants. The Metro report that the NHS is edging towards the worst nursing crisis in two decades because of Brexit, while The Guardian are reporting that the number of nurses from the EU registering to work in the UK has dropped by 96% less than a year after the Brexit vote. What does this mean? Hospitals lack staff and that’s a huge problem. It’s a crazy state of affairs the recruitment industry is currently in, and this is especially true to healthcare. Furthermore, findings from the Innovantage Brexit Barometer also claim that, based on data from the Royal College of Nursing, there is a 42% increase in demand for care workers, as well as a 32% increase in demand for GP’s and a 30% increase in demand for nurses. Jobs are as available as they have ever been in the UK, yet the government has failed to train enough British nurses, and has thus found itself in this position. It’ll be interesting to see how the British government deals with this in the coming months as Nursing and Midwifery Council (NMC) findings show that, for the first time since 2008, more nurses and midwives are leaving the profession in the UK than joining it. Numbers registering in the UK have fallen by 1,783 to 690,773 in the year to March. Since the Brexit referendum, universities and education providers alike are also seriously struggling to recruit. The Innovantage Brexit Barometer reveals that demand for lecturers has gone up 51% since Brexit, and up 49% for teachers. Some of the best lecturers, teachers and mentors at UK universities are from all over the world. At the same time, UK universities rely on the influx of EU and international lecturers, researchers and support staff to make up their universities. Higher education is international, and the exchange of knowledge across borders is critical to its success. If we are to preserve our global reputation for excellence, our universities must be unencumbered when it comes to attracting and retaining overseas staff and students. The uncertainty of Brexit and what it means for the rights of EU nationals, has forced the hand of many academics to leave the UK. The damaging uncertainty engendered by Brexit has far-reaching implications in terms of global talent and investment. Major sectors employing migrant workers, such as hospitality, healthcare and education, fear that the UK’s decision to exit the EU may present significant barriers to recruitment, as well as threaten the retention of existing workers. Given the skills shortage we already experience in the UK it is clear that access to talent is absolutely vital to sustainable economic growth and prosperity. If EU workers are forced to leave as a result of Brexit the war for talent will intensify and it could mean a shift in the balance of power in the job market towards employees. It is interesting to read such stories of a 96% drop in EU Nurses’ registrations for UK jobs and it makes one think about the impact of Brexit on staffing within healthcare, hospitality and education. Does this mean there are more vacancies for UK citizens; many of whom voted for Brexit to ‘save the NHS’, ‘halt immigration’ & ‘stop ’em taking our jobs’! Or is the reality somewhat different that many UK people no longer want the hard hours, low-paid and thankless jobs? Then, from an agency perspective, does a recruiter want to spend time finding UK candidates rather than supplying hungry & immediately available EU candidates? Something has got to change but while the UK unemployment rate has actually dropped in the 12 months post Brexit vote then who cares? Let’s see what the next 12 months bring, but unless the 16-24 year-old unemployed start filling the upcoming vacancies aided by UK Gov, then there may well be crippling effects on these industries. We’d love to know what you guys think about Brexit and the current state of recruitment right now. Just comment below!